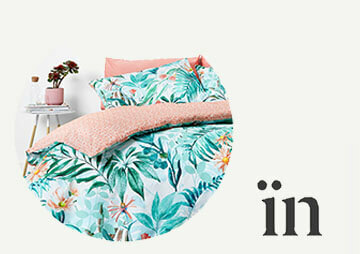 Bring the beauty of nature into your home with the set of two leaf illustrations from Scandinavian homeware brand Broste Copenhagen. Presented in black wooden frames, the ‘Nature Wood Wall Art’ includes two prints of intricately detailed leaf paintings on a white background. Perfect for displaying in a living room, office or hallway, the pictures will create an area of calm in your home.